I was speaking to Marcus Rhodes of Greenfrog Computing at a recent networking meetup. We were relaying some of the absolute horror stories that we come across in our respective lines of work, I mentioned to him that one of the most frustrating issues I come across is truculent web hosts. Marcus pricked his ears up at this and asked me if I’d like to write a guest post that gave businesses some basic solid advice on what to be looking for in a web host. One thing I’d like to make clear before we go any further is that I’m NOT a web hosting expert. That said I have worked in IT for 20 years, owned several websites and organised hosting packages for literally hundreds of clients. With that said I’d like to think I can tell you key things to look for when looking for a company to host your website. Ever hear the old adage “Pay peanuts, get monkeys”, it’s one I use a lot and generally it’s true. Your website, particularly if it’s a business website is a vital part of your company’s marketing strategy. How much are you willing to pay per month to ensure that it stays live and is fast, responsive and constantly up? Surely more than a few quid each month? There are lot’s of Hosting deals out there, some are priced at a level that’s too good to be true, other’s seem exorbitant. Try to find a happy medium. Being denied access to website files is a major bugbear for me. It actually prevents me from doing my job and prevents the client from moving their websites forward. My day to day job is running an expanding SEO company, so web hosting is something I am exposed to on a pretty regular basis. New clients are asked to give me access to their server when onboarding. I always ask for this level of access so that I can be sure of being able to add or update key files on their website whenever I need to do so. This is a file which tells web crawlers which pages to crawl and which to ignore. sometimes I’ll need to create this file for clients, sometimes make changes like ensuring the Sitemaps are declared or that certain pages are blocked from crawling. Sitemaps are lists of all the pages within a website. Search engine crawlers use the sitemap, to ensure they can crawl and add each page to the search index. Most CMS systems today auto-generate an XML sitemap. However, there are instances where the sitemaps need to be manually generated or fixed. I need to ensure that any website I’m working on has an up to date sitemap. The .htaccess file is a configuration file supported by several web servers, used for directives of site-access issues, such as URL redirection, URL shortening, access control, and more. During the course of an SEO project, I’m likely to need access to all of these files at least once during the lifetime of a project.If I need access to these files, the likelihood is that the developers also need access to such files too. It’s essential that when you buy web hosting you have full access to every file on your website, they are your files, your property and nobody has the right to deny you access to them. In all honesty, as I said at the start of this article I’m not an expert on servers. That said what I do know is that any business owner wants to ensure their website is live for the vast majority of every day throughout the year. Most web hosts will offer you this utopia when trying to get you to sign up but you should look very closely at the figures that they have on offer. A company offering 99% uptime might sound like a great deal, but in fact, that one per cent downtime means you can expect your website to be down for 7.3 hours in a month. 99.9% uptime means 43.8 minutes per month of downtime. This is more acceptable for a small business, and particularly one that isn’t an ecommerce site. This could well be acceptable is your website only ever went down in the middle of the might for a minute each day. The reality could be worse. 99.990% uptime is much better, offering 4 minutes 38 second of downtime in a month. You most definitely need to ensure that your hosting service includes automatic backups. In the past, I’ve been stung with web hosting that only offered manual backups. This means the onus is on the website owner to make manual backups and store them. Ideally, you need a minimum of daily backups. This way, if data is compromised in any way you won’t have lost too much or have to replace too many changes. It’s important to remember that there are full website backups and database backups, you need to know which sort you need and what you’re paying for. In both cases, you probably need to negotiate that your web host backs up both the website files and the database (if you have one) to a separate location so that you can check that it’s a complete backup and also perform a manual backup if necessary. My final recommendation for web hosting goes back to access. The vast majority of website owners are not technical people. They own a website but don’t necessarily understand or want to know about all its components. They just need it to work. Whilst not essential to have such access, these control panels are now standard offering when purchasing web hosting, it would be a shame not to make yourself as familiar with it as possible. That way if you need to, you’ll be able to take the appropriate action. My main motivation in writing this log post was to help small businesses who are looking for web hosting. I’ve come across some unscrupulous web hosts in my time. Hosts denied customers access to files. Shared servers that didn’t offer individual logins and security to each website. Managed WordPress hosting with limited configuration options. If you’re in a situation like this, demand changes or get out of the contract. Speak to Greenfrog for advice on getting the right package for your business. My parting message is this: Your website belongs to YOU. Not to the web host. 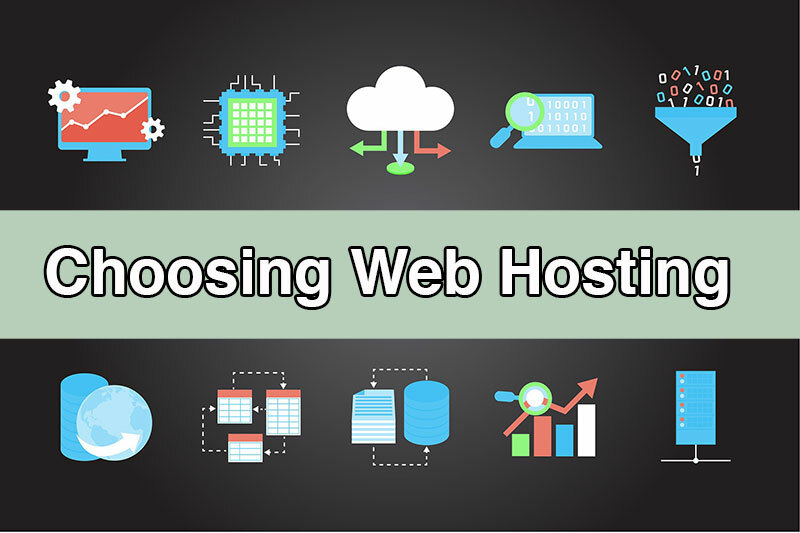 You should choose a host who accepts this and gives you the maximum level of assistance to get the most out of your website. Phil Gregory is the Managing Director of Peak District SEO. He’s spent 20 years getting websites found and helping businesses get more leads and sales. You can connect with him on, Twitter or by visiting his website.